The United States is facing a workplace enforcement crisis, with widespread violations of many long-established legal standards. The crisis involves laws dating back to the New Deal era that require employers to pay most workers at least the minimum wage and time-and-a-half for overtime hours and that guarantee the right to organize and bring complaints about working conditions. Also violated frequently today are more recent laws designed to protect workers’ health and safety, laws that require employers to carry workers’ compensation insurance in case of on-the-job injury, and laws that prohibit discrimination on the basis of age, race, religion, national origin, gender, sexual orientation, or disability. Los Angeles, as this report documents, has an especially high rate of workplace violations, even relative to the nation’s other large cities. This report focuses on the findings of a survey of 1,815 workers in Los Angeles County, conducted in conjunction with similar surveys of Chicago and New York City in 2008. 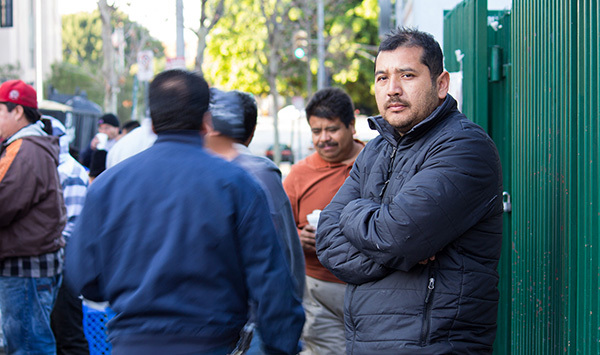 Using a rigorous methodology, this research study included interviews with unauthorized immigrants and other vulnerable workers who are often missed in standard surveys. The goal was to obtain accurate and statistically representative estimates of the prevalence of workplace violations. All findings are adjusted so that they are representative of the larger population of front-line workers (that is, excluding managers and professional and technical workers) in low-wage industries in L.A. County in 2008. This population includes about 744,220 workers, or 17.0 percent of all workers in L.A. County.